Featuring John Deere Tractors. 2-Day event demonstrates early farming techniques such as plowing, threshing, combining with working antique tractors and early implements. Vintage steam tractor in operation. Sawmill operations include sawing, planing, shingle-making and snow-fence making. Pioneer farmhouse open for visitors. Women's craft building for women's activities and merchandise sales. New blacksmith shop in operation. Petting zoo with farm animals. Miniature train rides for kiddies. Tractor pull on Saturday and kiddie tractor pull on Sunday. Flea market. Food and music all weekend, including square dancing Saturday afternoon. Ice cream and goodies concession in operation during show hours. Overnight camping available. 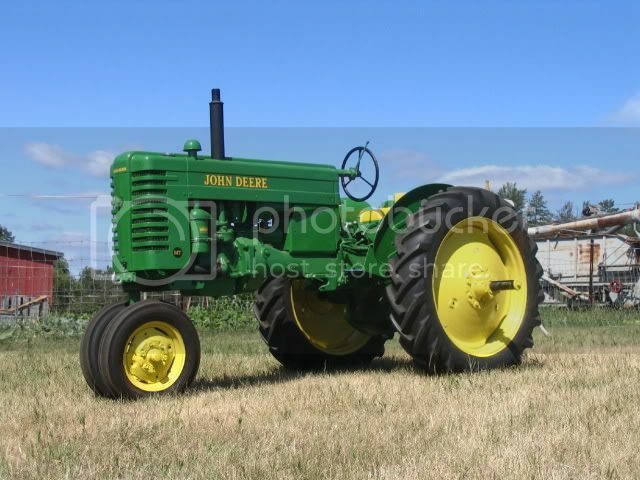 Raffle tractor is 1946 John Deere MT. 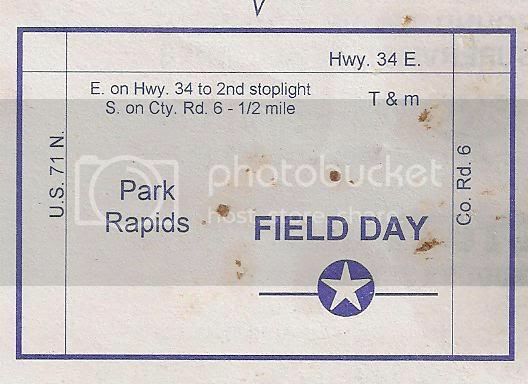 East Forty show grounds on County Rd #6 (Henrietta Avenue) 1/2 mile south of Highway 34. (Across from transfer station). Adults $5.00. Admission includes souvenir button. Youth under 12 - free. RAFFLE TRACTOR - JOHN DEERE MT! Hi all! This is a great show! Hope to meet some of you there! Me and my Dad will be at the show with a couple of our own tractors!! PLEASE HELP TO KEEP OUR SHOW SAFE BY USING EXTREME CARE AROUND POWER EQUIPMENT. KEEP CHILDREN SUPERVISED AT ALL TIMES. SATURDAY- AUGUST 1st- 1:00 pm. 9 Farm Classes: 3,000 to 9,500 lbs. GOOD FOOD ON THE GROUNDS!! DRAWINGS EVERY HALF-HOUR DONATED BY LOCAL MERCHANTS. MUSIC PROVIDED ON GROUNDS SATURDAY- AUGUST 1st. Mid Morning and Middle Afternoon Square Dancing - Afternoon. Ted Roller: (218)-652-3280 or Chris Roller: (218)-224-2426. Information, First Aid, Club items and Raffle Tickets are located in the Headquarters by the Flagpole. Jim Wright, (218)-732-8567 or Noel Allard (218)-732-5100. We would like to thank everyone who helped make this show a success and to all the people who visit our show!- Thank You! !